Mind Matters knows that understanding of mental health is poor. For reasons including stigma, fear, and lack of access to appropriate knowledge, people do not learn the real facts surrounding mental health. As a result, people do not talk about mental health, seek help at the earliest opportunity, and get the appropriate support they need. At Mind Matters we know that there are opportunities to prevent poor mental health, and to provide hope and recovery for people with mental health problems. Our educational programme plays a fundamental role in these three areas by reducing stigma, teaching people to be able to identify the signs and symptoms of poor mental health, and support people towards recovery. All Mind Matters training courses can be delivered in-house to your business at a location and time suitable to your business. Minimum delegate numbers are required for MHFA courses of 8, and for other courses 6. 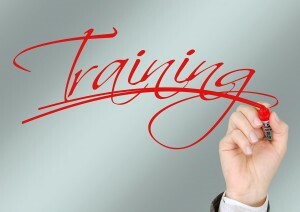 If you would like to discuss your in-house training requirements and costs, please contact us for further details. Please contact our office on 07833 470979 or email jane@mindmatterstraining.co.uk for a booking form. A 5% discount is available to students, volunteers, third sector organisations, and bookings of more than one place (or course). Proof of concession will be required at point of booking.